posted: February 26, 2015 by: Rawls Veterinary Hospital Tags: "Clinic Specials" "News"
New CDC study indicates widespread roundworm infection. New study showing high rate of Toxocara infection in young children and youth under age 20 raises public health concerns. BEL AIR, Md. (November 5, 2007)– About 14 percent of the U.S. population is infected with Toxocara, or internal roundworms, contracted from dogs and cats. That’s according to the results of a Centers for Disease Control and Prevention (CDC) study announced today at the American Society of Tropical Medicine and Hygiene in Philadelphia. When it comes to the health risks posed by pets, our children are more susceptible than other segments of the population. Toxocariasis is one such risk. A zoonotic infection, toxocariasis is caused by the transmission of parasitic roundworms found in the intestines of dogs and cats to people. Transmission usually occurs through the environment, for example when humans come into contact with soil or sand contaminated by dog or cat waste containing microscopic infected roundworm eggs and larvae. These roundworm eggs can survive in the environment for years. In rare cases, roundworm infections in humans can lead to diseases that damage the body’s organs, central nervous system or even cause blindness. Since doctors are not required to report these diseases to any public health agency, the incidence rate is unknown. What we do know, however, is that the most severe cases are more likely to occur in children, because they often play in or eat (either intentionally or accidentally) contaminated dirt and sand. When kids come into contact with contaminated dirt, sand or other surfaces, the results can be tragic. Just ask Beth Demis of Ohio. She began to notice a lazy eye effect in son Sam’s right eye when he was between five and six months old. Another oddity was the appearance of only one red eye – Sam’s healthy left eye – in countless pictures of the baby. At first, Beth and her husband thought their camera was broken. But when photo after photo showed Sam with only one red eye, they mentioned the lack of red reflex in his right eye to their pediatrician. Ultimately, doctors diagnosed Sam with an intraocular hemorrhage and ocular larval migrans, caused by an internal parasite in dogs – a surprise diagnosis since the family has no pets. The condition blinded Sam in one eye, and he will continue receiving related medical treatment at least until age 8. In another known case, Chris of North Carolina was diagnosed with ocular larval migrans when he was 4 – just three days after his pediatrician gave him a clean bill of health, including 20/20 vision in both eyes. At the insistence of her mother, who worked for an eye doctor, mom Jennifer Ronan took Chris for an eye exam, which revealed he was partially blind in his left eye. Chris showed no signs of illness or blindness at the time of diagnosis, and still suffers vision loss some five years later. Although the Ronans had pets at the time of Chris’ diagnosis, they tested negative for roundworms – as did the dogs and cats of all of their friends and family. Jennifer believes Chris was infected when he played in a public sandbox as a baby. What makes these cases especially tragic is that almost all cases of zoonotic infection could be eliminated if every dog and cat were treated every month – all year long – with parasite preventatives, such as heartworm pills. Until all pet owners follow this advice, there will, unfortunately, be more stories like those of Sam and Chris. Recent pet food recalls have prompted pet owners to consider the safety of foods that they are feeding their pets. 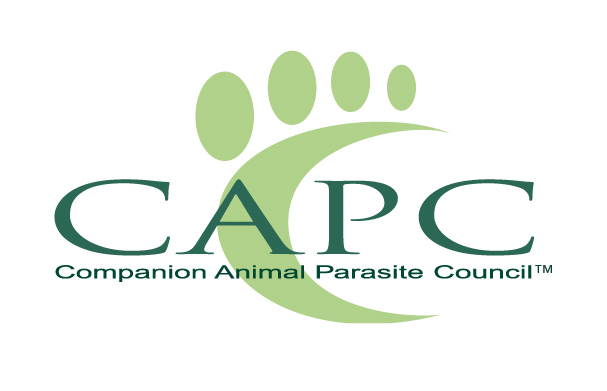 The nonprofit Companion Animal Parasite Council (CAPC) warns pet owners of the dangers associated with feeding pets under-cooked meat. Some parasites and bacteria found in raw meats can be transmitted to humans (zoonosis) and make animals sick. Cooking foods appropriately will help to kill parasites and bacteria and may improve the digestibility of the proteins in the diet.